There is a clear split in the continuity of the books. After the fourth book was written, Stephen King was hit by a car and it was unclear whether he would survive, let alone if the series would ever be finished. Thankfully, both made it through the accident, but the final three books ‘feel’ different. 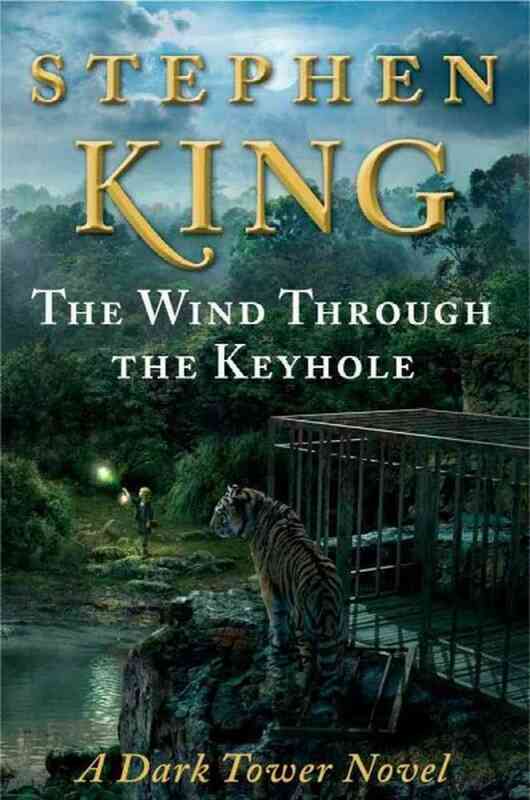 King writes himself in to the series as a character, which could be seen as narcissism, but I think anyone reading The Dark Tower would understand that the world is expansive enough to include the author. This new book is meant to take place in this gap between the fourth and fifth book, so book 4.5 really. However, my dilemma doesn’t fall with many other readers… Naturally, I will purchase this book, but the biggest question is the format. I’m already a bit disappointed that it’s just barely over 300 pages while the rest sit fat and happy on the shelf between 500 – 1000 pages. All of The Dark Tower books I own are in paperback. It already drives me up the wall that the first four are mass market size and the remaining three are not. Now with this new addition, if I purchase it right away (come on, like I’m NOT going to preorder it!) it will be in hardcover. It may be another year or more before it’s available in paperback. I know this book is supposed to cover this marked shift in the narrative, but I don’t know if I want a glaring hardcover to mark the obvious shift on my shelf as well. I know this isn’t really an issue. Some will say “but you have so many books, if you are disciplined, you’re not going to read through them all to justify buying this new book.” (Maybe by ‘some’ I mean my inner voice…) The release is still months away, so I suppose I have time… I just need to resist the Preorder Price Guarantee! Next > The Grey Troubadour? I didn’t realize Stephen King almost died from being hit by a car! Anyway, I’ve been meaning to start reading him (can you believe I’ve never read ANY of his books!?) Any suggestions where to start? Yes! He nearly died! That car accident actually plays a big role in The Dark Tower series. He wrote the first 4 books before the accident and then afterwards, the books changed slightly… But honestly, if you don’t know where to start, try The Dark Tower (Gunslinger is the first one). There are aspects and elements in that series that crosses into the worlds of his other books. He likes to do that.